Division Expansion or Sequel In the Works | Nerd Much? 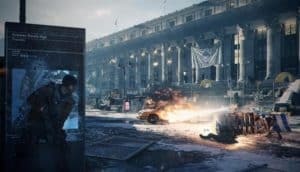 Ubisoft has posted a series of 25 job openings relating to “expanding the world of” Tom Clancy’s The Division and “create the best open world RPG experience ever.” These postings come from Ubisoft Massive in Malmö, Sweden, the studio responsible for The Division and also currently working on the Avatar Project. The latter was announced around the same time James Cameron revealed the Avatar sequels. However, as we all know, the world does not really need four Avatar movies. Ubisoft stated at the time that the Avatar Project will be based on the original movie from 2009, just like their first attempt, James Cameron’s Avatar: The Game. Nonetheless, it seems like Ubisoft is looking to expand their team to work on The Division as well. The job titles include Technical Game Designer, Narrative Designer, Environment Artist, Associate Producer, and so many more. All of which mention The Division and “expanding” its world. Some positions refer to the Avatar Project as well, like Lead Prop Artist and Community Development Intern. Whether this means a sequel to The Division or some kind of expansion in form of DLC or other content, is anyone’s guess. The game has hit over 20 million players since its launch in 2016 and Ubisoft has been very keen on keeping the game alive to for its audience. However, it has been over a year since we saw a DLC for The Division. It is time to either expand the world with another DLC or make a sequel. Though it is a little odd to have so many new positions opening up for just another DLC that they surely still have a team for. Whether Ubisoft can make the content “the best open world RPG experience ever” is doubtful. Those who do enjoy RPGs very rarely go to FPS games like The Division for the in-depth story and relationships you can form. Which direction do you hope Ubisoft will go with The Division? Do you think the game needs another DLC? Does it need a sequel? Let us know in the comments below.